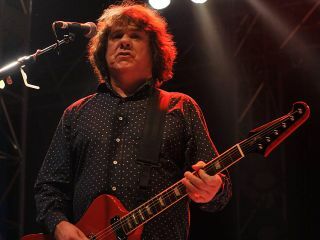 Gary Moore was always a good friend to GT, and his songs and style graced our pages on countless occasions. For those unfamiliar with his work (or for those who miss him as much as we do), Guitar Techniques issue 188 includes a full transcription of Moore's '80s rock classic Out In The Fields - a great place to start/revisit. You can still buy issue 188 as a back issue, or subscribe to GT for a monthly dose of guitar tutorials. Oh, and while you're here, check out the trailer for an upcoming hour-long documentary devoted to Gary Moore called White Knuckles And Blue Moods.